After being home in Cypress for two weeks, I am still reveling in the delight and memory of our Rocky Mountain getaway. 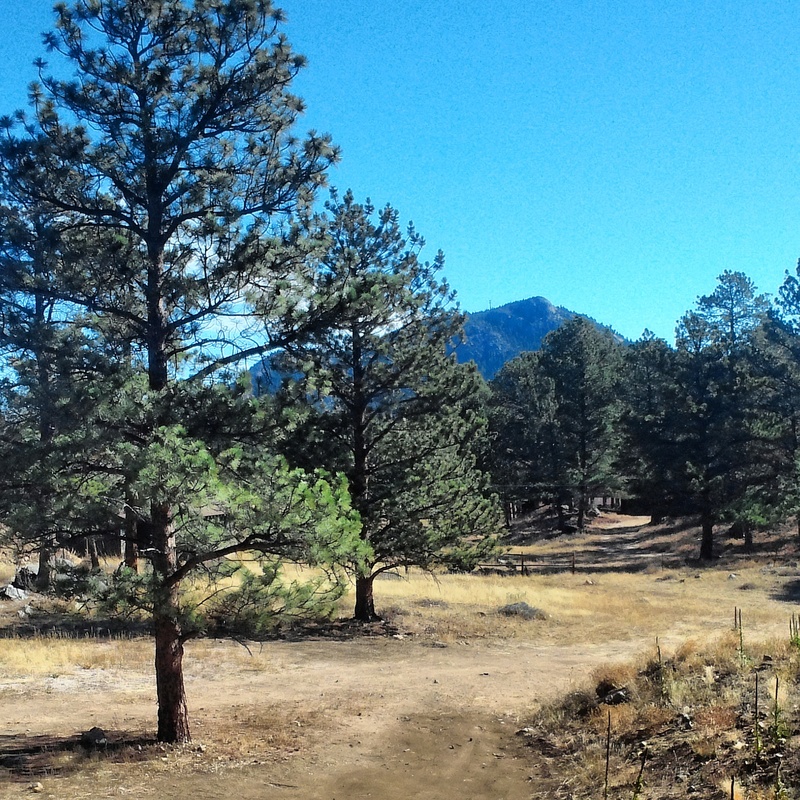 Today I am sharing photos with you from the town of Estes Park. 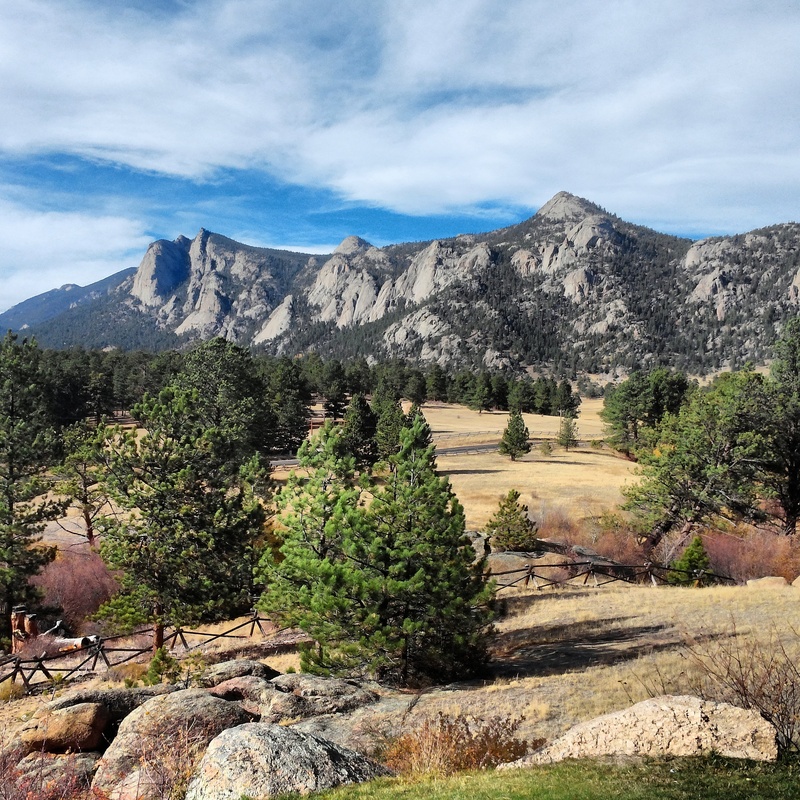 Estes Park is nestled at the base of Rocky Mountain National Park and is surrounded by the most auspicious views everywhere you turn. 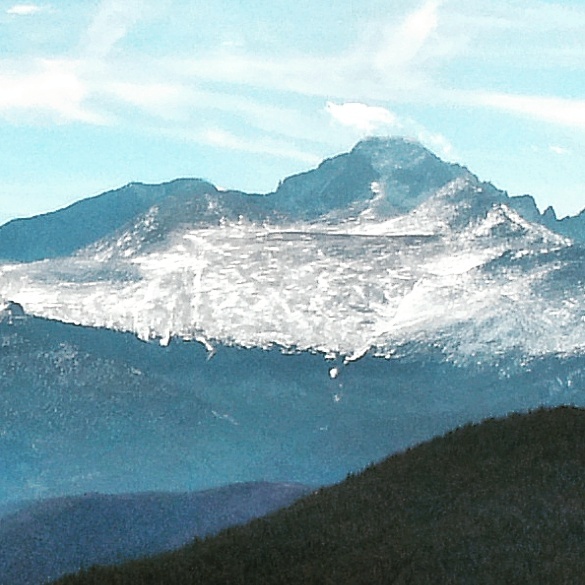 Mountain Peaks rising around you range in height from 8500 feet to 14,000 feet. Mix this backdrop with the beauty of changing fall colors and you have a recipe for beauty that is hard to beat. The town hosts numerous cabins, condos and hotels all sharing amazing views of the glorious Rocky Mountains. Estes Park offers an abundance of shops, galleries, boutiques and restaurants to enjoy during your visit. Main Street has a small town atmosphere where you can enjoy the beauty of the Riverwalk while browsing the many shops and local artists galleries. You can even throw a line in and try your hand at fly fishing. One of our favorite dining spots while visiting Estes Park was Ed’s Cantina and Grill. Although we had a bit of a wait ( they do take reservations ) the food did not disappoint. The menu is diverse and flavorful with plenty of fresh ingredients featuring items such as Squash Stuffed Poblano Chile and Bison Tacos. My personal favorites included the Spinach and Black Bean Enchiladas and the Veggie Taco Salad. The diversity of the menu satisfied both the vegans and carnivores traveling in our group. When you step outside the backdoor of Ed’s Cantina, you are greeted by the surprising beauty of the riverwalk that meanders through the town. Here you can enjoy a stroll or simply sit and take in the peaceful beauty of the river. Many restaurants offer outdoor seating to take in the glory while you dine. I have been fortunate to visit the wonders of Colorado a few times. Each time it has left me in a state of awe and wonder at it’s incredible beauty. There is so much more to see and experience in this great state that I look forward to hopefully many more trips! Hope you are enjoying the beauty that surrounds you where ever you may be today! As an elementary art teacher, I rarely have the opportunity to travel in the fall. 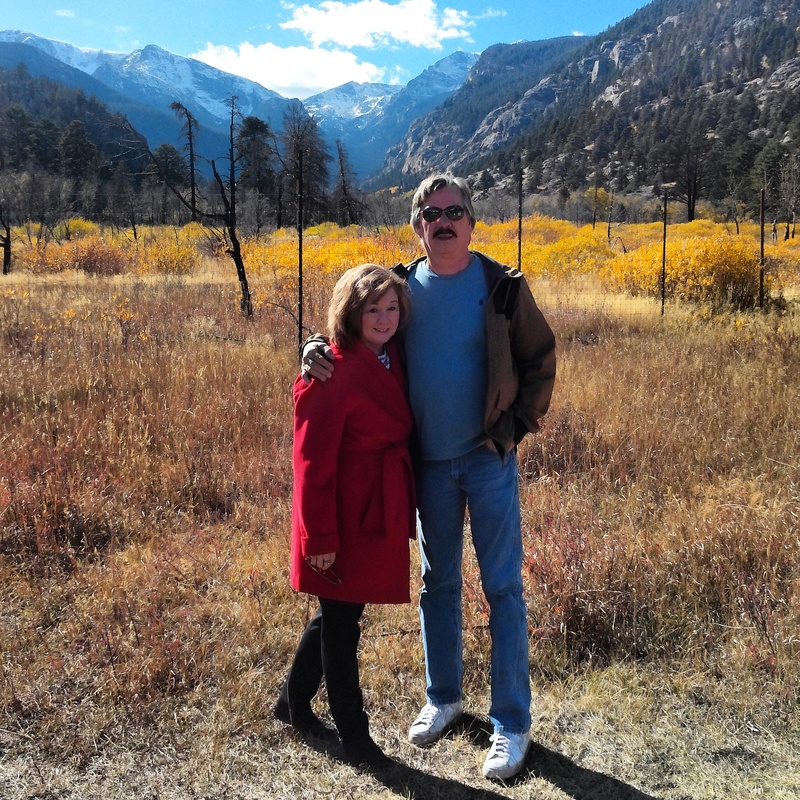 But when our dear friend’s daughter announced her wedding would be in Estes Park, Colorado, my husband and I jumped at the chance to share their special day and to visit beautiful Colorado in the fall! 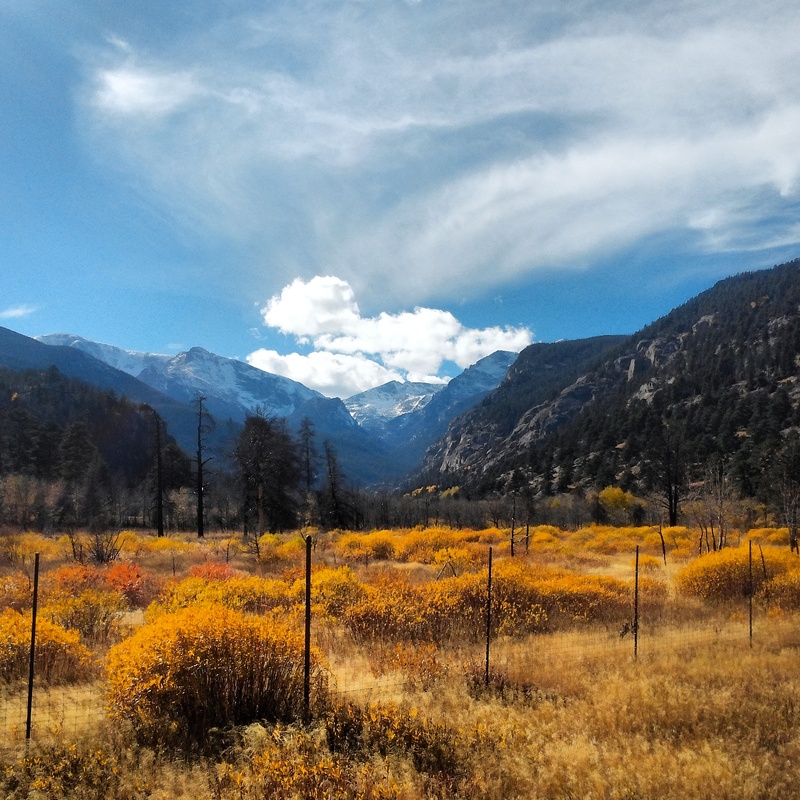 From the moment we headed north on Highway 25 from Denver to Estes Park, the astounding beauty of Colorado began to fill my soul with a peace and serenity that is often difficult to find. 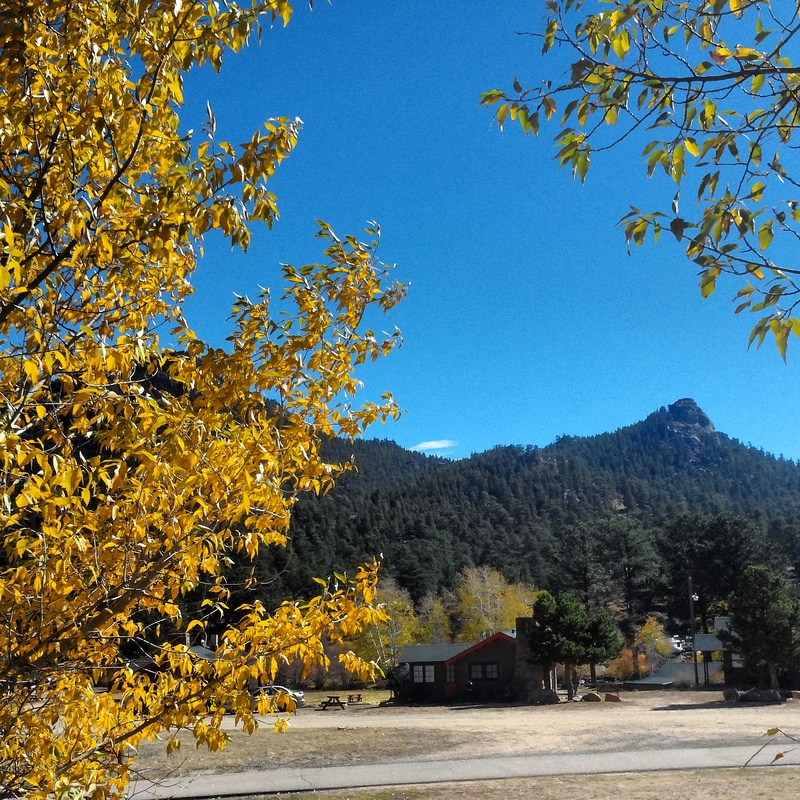 The beauty of the fall colors mixed with the Rocky Mountain backdrop was everything and more that I had hoped to see. Our friends recently bought an amazing cabin ( really it’s a beautiful home ) just at the base of Rocky Mountain National Park. The views from their back porch are simply stunning! The first morning after our arrival we were awoken by the sound of bugling by the “Great Prince” elk as he kept his “harem” together. Imagine walking onto your back porch to find some 50 odd elk passing by about 50 feet away. Before the wedding, we had a day to explore Rocky Mountain National Park! The only word I know to describe the views is breathtaking! I have had the good fortune to visit this incredible place before and I promise it never disappoints.